Justice Bhandari was elected to the Hague-based International Court of Justice (ICJ) in 2012 to complete the remainder of the term of a retiring judge. He is now running for a full nine-year term. Lebanon's Permanent Representive Nawaf Salam, a jurist-turned-diplomat, is running against him for the judgeship representing Asia. 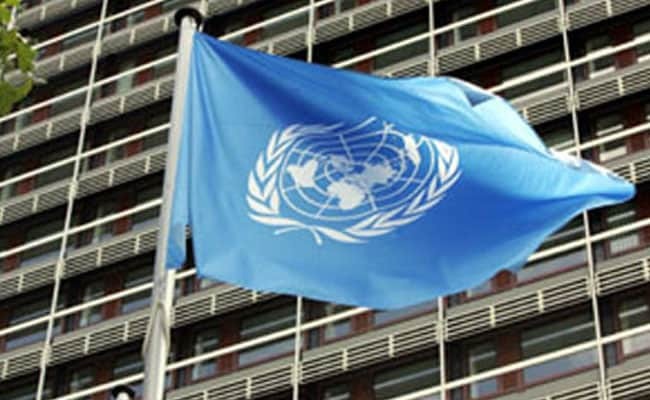 United Nations: Voting was deadlocked on Thursday at the UN in the election of World Court judges in which Dalveer Bhandari of India is facing a Lebanese diplomat in his re-election bid. The General Assembly and the Security Council could not come up with five judges in the three rounds of separate ballots for election and further voting was adjourned to later in the evening. The voting was complicated by the election system under which each country has five votes which they can distribute in any way they choose, allowing them to give more than one vote to a single candidate. It also does not also follow a system under which the five highest vote-getters would be elected. The election would be complete only when there are five candidates left with more than the absolute majority of 97 votes in the Assembly and eight in the Council. In the three ballots so far, all the six candidates received more than 97 votes in the Assembly and eight in the Council, because the candidates received more than one vote from some countries. If the deadlock continues, a group made up of three Council and three Assembly members may be asked to make a recommendation on which the two chambers could vote. Justice Salam is able to mount a tough challenge because his candidacy was endorsed by the Organisation of Islamic Cooperation at its foreign ministers' meeting Tashkent last year and he has been at the UN for a decade as Lebanon's permanent representative. Justice Bhandari has received nominations from Australia, Bangladesh, Colombia and Israel. Just before the voting began in the Assembly, President Miroslav Lajcik announced that Sri Lanka has also joined in nominating him. There were six candidates left in the race for the five judgeships up for election this year after a Zambian candidate, Chaloka Beyani, withdrew from the race. Besides Justice Bhandari, ICJ President Ronny Abraham of France, Vice President, Abdulqawi Ahmed Yusuf of Somalia, and Antonio Augusto Cancado Trindade of Brazil and Christopher Greenwood of Britain, whose terms end this year, are running for re-election. Justice Bhandari is the only one facing a challenge. By tradition, jurists from the permanent members of the Security Council have a seat in the ICJ assuring British and French candidates of their election, and no one from their regions are challenging the Somali and Brazilian judges. The court does not officially have regional quotas but its statutes also say that the judges should represent the "main forms of civilization" and the "principal legal systems of the world" and this has in practice given rise to a regional distribution system. Justice Bhandari is representing a swathe of Asia from the Middle East to the Far East along with judges from China and Japan. He was elected to succeed Awn Shawkat Al-Khasawneh of Jordan and he defeated a candidate from the Philippines. Therefore, he will essentially be facing Justice Salam who is also from the region. The Indian Mission to the UN held a reception for him last month to meet the delegates who will be voting in the election. Justice Bhandari, who is from Rajasthan, has been a Supreme Court judge and the Chief Justice of the Bombay High Court. This year and last, India's candidates won two other international election in the legal field. In June, Neeru Chadha was elected to International Tribunal for the Law of the Sea (ITLOS) based in Hamburg, Germany. Aniruddha Rajput was elected by the UN General Assembly to the International Law Commission last November.